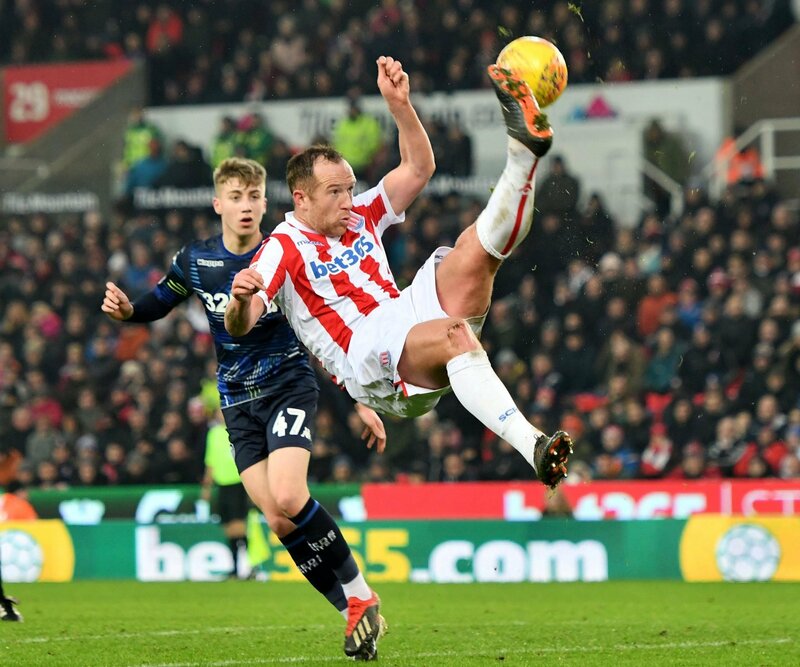 Stoke City manager Nathan Jones could be set to hand midfielder Charlie Adam a start against Wigan Athletic on Wednesday night, according to reports from the Stoke Sentinel. The Potters travel to the DW Stadium for what will be their second game in a week, after defeat to West Bromwich Albion by a goal to nil on Saturday evening. As part of keeping his squad fully fit and fresh as part of a three-game week, the Welshman could be set to make a host of changes to the side that fell to a 1-0 defeat to the Baggies at the weekend – with reports claiming that midfielder Charlie Adam is in contention to start. The Scottish midfielder has been out of the squad for a couple of weeks, after picking up a calf injury before Stoke’s home defeat to Preston North End nearly a fortnight ago, but is back in training ahead of a trip to Lancashire. The 33-year-old has endured a turbulent season thus far, making just one league start all season and having to settle for a couple of appearances in the cup competitions here and there. Stoke, after winning just one of their last eight league games, currently sit 17th in the Sky Bet Championship table, 12 points off both the relegation zone and the play-off spots. I don’t see why Jones shouldn’t start Adam on Wednesday night – they simply have got nothing to lose after such a horrendous season thus far. The 33-year-old hasn’t played as many games as he would have liked this season, but will keen to impress Jones and prove why he should remain at the club beyond the end of this season. They really do need some leadership and passion from somewhere, and the Scotsman would certainly provide that if selected.